77 current and former League1 Ontario women's players showcased their abilities in the NCAA DI in 2017, with a number receiving accolades for their high-level performances over the season. Senior Vanessa Gilles (Cincinnatti - West Ottawa) was among the most recognized, competing in the American Athletic conference and being named: the conference Co-Defensive Player Of The Year; USC Scholar All-America Second Team; USC Women's All-Southest Region First Team; USC Scholar All North/ Central Region First Team; CoSIDA All-American Third Team; All-Conference First Team; Ohio Collegiate Soccer Association Academic All-Ohio First Team and finally Top Drawer Soccer American Athletic Top 20 (5th). 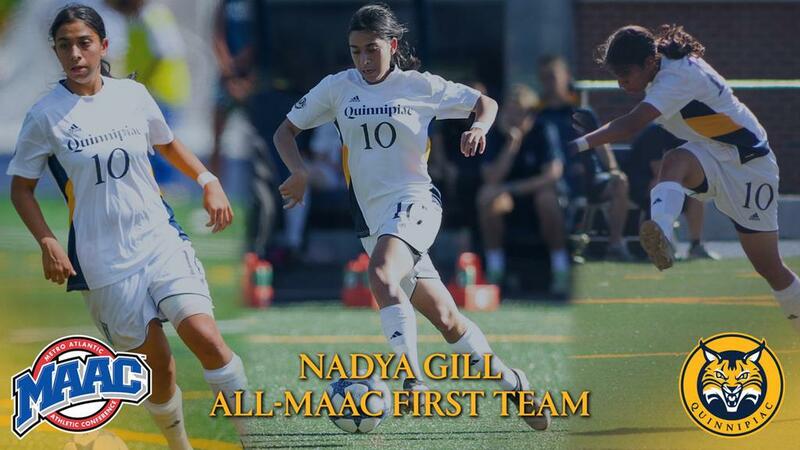 Over in the MAAC conference, Nadya Gill's (Quinnipac - Vaughan) abilities were similarly highlighted after being named to: Conference First Team; MAAC All-Academic Team; CoSIDA Academic All-District First Team; All ECAC Honourable Mention; United Soccer Coaches NCAA Division I Scholar All-East Region First Team and the Top Drawer Soccer Conference Top 20 (3rd). Gill earned All-MAAC First Team honors after she led the league in points (34) and goals scored (13). She was tied with the fourth-most assists in the conference (eight) and registered the most shots (78). Gill tallied four multi-goal games in 2017, including a hat-trick against Saint Peter’s University on September 16. She was named MAAC Offensive Player of the Week twice in her junior campaign (August 21 and September 18). In the MAC conference, Julia Benati (Buffalo - FC London) was selected for the: All-MAC First Team; Academic All-District First Team; Academic All MAC Team; United Soccer Coaches All-Midwest Region Third Team; MAC Women's Soccer Distinguished Soccer Athlete and the Top Drawer Soccer Conference Top 20 (9th). Benati was able to earn First Team All-MAC honors for the first time in her UB career as she posted her best season as a Bull during her senior campaign. The Dorchester, Ontario native posted career-highs in goals (7), assists (4), points (18) and shots (63) while starting all 19 matches for the Bulls. Benati closed out her impressive career with 11 points over her final eight matches in the blue and white. She wrapped up her time at UB ranking 12th all-time in assists (13), 14th in points (49) and 15th in goals (15). Elsewhere in the MAC conference, Vital Kats (Kent State - Aurora) was recognized as the MAC Freshman of the Year and was also named to the All MAC Second Team; All MAC Freshman Teamand United Soccer Coaches All-Midwest Region Second Team. 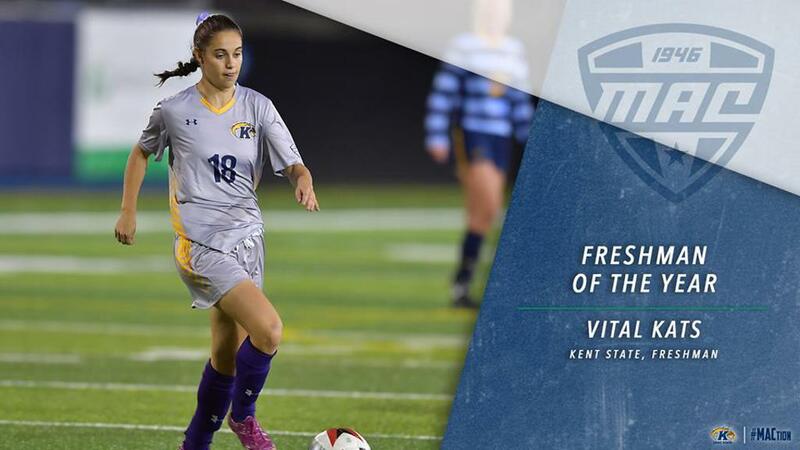 Kats turned in a breakout freshman year and led Kent State with 16 points (6g, 4a). The MAC Freshman of the Year also netted three game-winners and helped the Flashes win the conference regular season championship with a 9-2-0 league mark. She is one of only two freshmen on the second team. Three other players rounded out a fantastic League1 presence in the MAC conference end-of-year lists. Sierra Henderson-Muschett (Kent State - Aurora) was named to the All MAC First Team; Academic All-MAC Team and the Top Drawer Soccer Conference Top 20 (5th). Patricia Koutoulas (Miami - Aurora) was selected to the All MAC Second Team; Academic All-MAC Team; MAC Women's Soccer Distinguished Soccer Athlete and Top Drawer Soccer Conference Top 20 (11th). 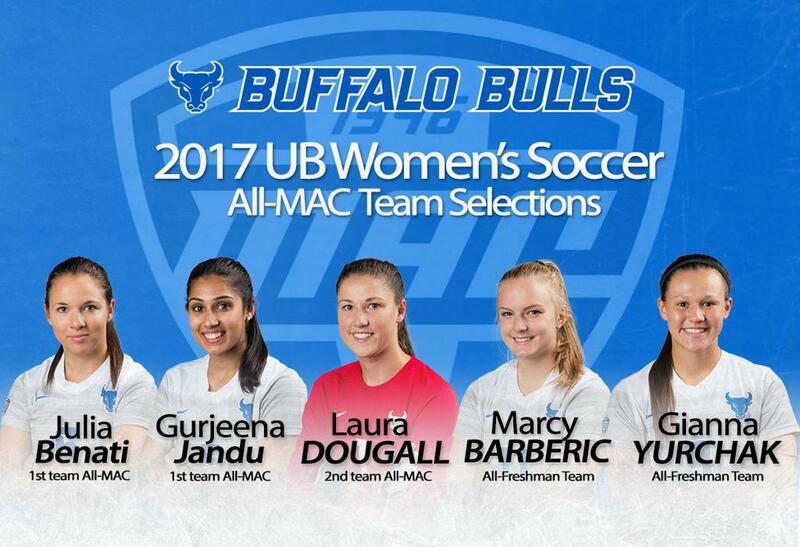 Finally, Laura Dougall (Buffalo - Durham) made the All MAC Second Team; Academic All-MAC Team and Top Drawer Soccer Conference Top 20 (15th). In the Big Ten, Victoria Pickett's (Wisconsin - Aurora) performances earned both attention and recognition. 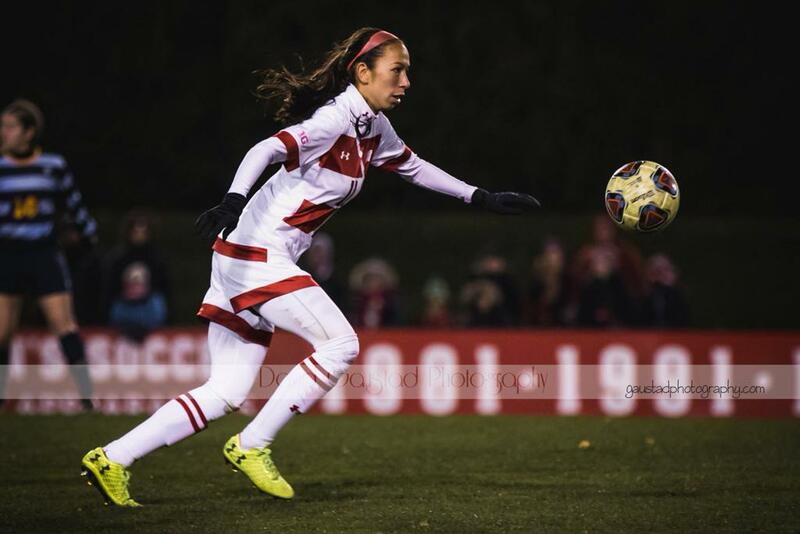 She was named to the United Soccer Coaches All-Midwest Region First Team; Conference All-Big Ten First Team and the Top Drawer Soccer Conference Top 20 (12th). Elsewhere in the Big Ten, Sarah Stratigakis (Michigan - Aurora) made the Conference All-Big Ten Second Team and Conference Big Ten All-Freshman Team. Rylee Foster (West Virginia - Vaughan) lit up the Big 12 conference and received United Soccer Coaches All-South Region First Team; Conference Second Team and Top Drawer Soccer Conference Top 20 (14th). In the America East conference, Jessica Lisi's (Memphis - Woodbridge) name was on the All-Conference Second Team and Top Drawer Soccer American Athletic Top 20 (16th). Sofia Borea (University of New Hampshire - Blizzard) also received recognition on the America East Conference All-Rookie Team. In the Missouri Valley conference, Montana Portenier (Evansville - FC London) was named to the All-Conference Second Team and the Top Drawer Soccer Conference Top 20 (12th). Nadia Pestell (Dayton - Pro Stars FC) was recognized for her standout season by a selection to the Atlantic 10 Conference Second Team. In terms of first seasons, Gabrielle Paupst (Radford - Blizzard) and Isabelle Nashmi (SMU - Unionville Milliken) had big ones - the first being named to the Big South Conference All-Rookie Team and the latter being chosen to the American Athletic Conference All-Rookie Team. Two players - Christine Rebus (Iona College - West Ottawa) and Courtney Betts (Niagara - Woodbridge) - were named to the MAAC All-Academic Team. Two others - Kristin Nason (Eastern Michigan - Durham) and Victoria McCartney (Western Michigan - Durham) - demonstrated academic excellence as well and were named to the Academic All-MAC Team. Lastly, Mikayla Morton (Memphis - Woodbridge) was named to the 2017 American Conference Women's Soccer Championship All-Tournament Team after scoring brace in first round to send Memphis to the conference semi-finals. Kennedy Faulknor (UCLA - Unionville) was a part of the UCLA squad that made history by creating an All-PAC12 Women's NCAA College Cup Final after going to the finals against divisional rivals, Stanford.